It looks fairly similar to WinAMP, and like the latter, comes with a wide variety of music management options. It lets you organize your music into custom playlists, tinker with equalizer and visualization effects, apply custom skins and more. The application does have a few fancy features, though, like a customizable visualizer that you can activate from the menu button. 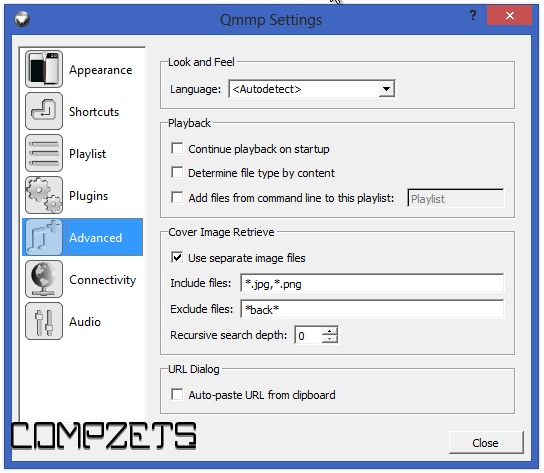 Qmmp also enables you to listen to online streams – such as radio stations or podcasts - by providing their URLs. You can also scrobble to Last.fm and Libre.fm. 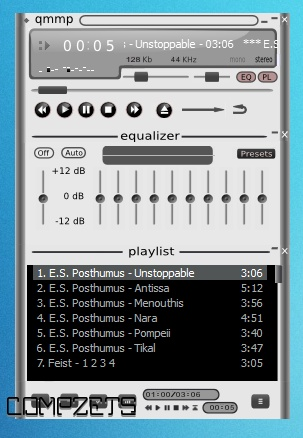 In addition, Qmmp boasts XMMS and WinAmp skin support. You can add additional skins from the Settings window under the Appearance tab. The Plugins tab in the same window allows you to further extend Qmmp’s functionality, such as adding lyrics support, changing audio engine (BS2B, Crossfade), setting custom global hotkeys and more. It can also play wide variety of formats.